Are you ready to take your health to a new level? Not finding the support or answers that you are looking from conventional medicine? Are you looking for more proactive support for your health? Are you looking for a different approach? 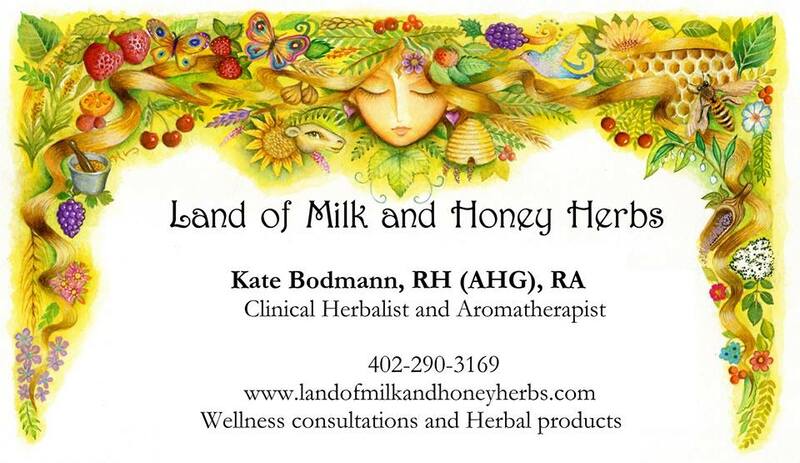 Land of Milk and Honey Herbs is an Omaha based wellness business focused on using herbal and botanical medicine to support your health goals. Much of what we need to improve our health is growing right outside of our doors. We are only a generation or two away from those who understood these gifts of nature. It is my goal to help reintroduce you to this knowledge through personal consultations and educational opportunities. As a clinical herbalist I offer a time-honored approach to natural healing. I offer personal consultations to discuss your health concerns and use traditional assessment techniques to determine an herbal protocol to help bring you back into balance. Are you ready to get started?